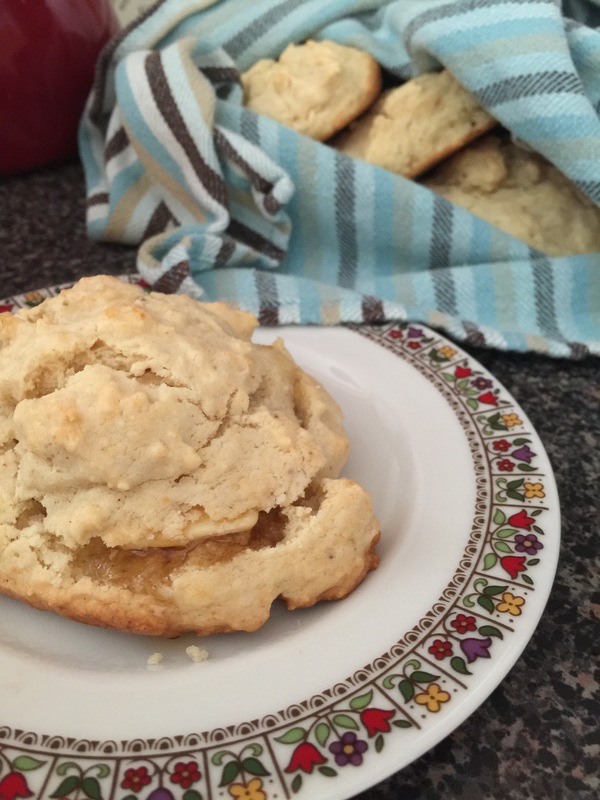 Recipe – Bacon Grease Biscuits. There’s really no reason for me to write anything else. Doesn’t that just sound terrible? Spoiler: They’re not so terrible. I was lucky enough to inherit my grandmother’s dishes. The set came with some cute little baking dishes with lids. Unfortunately only one survived the move. It’s my little grease holder. 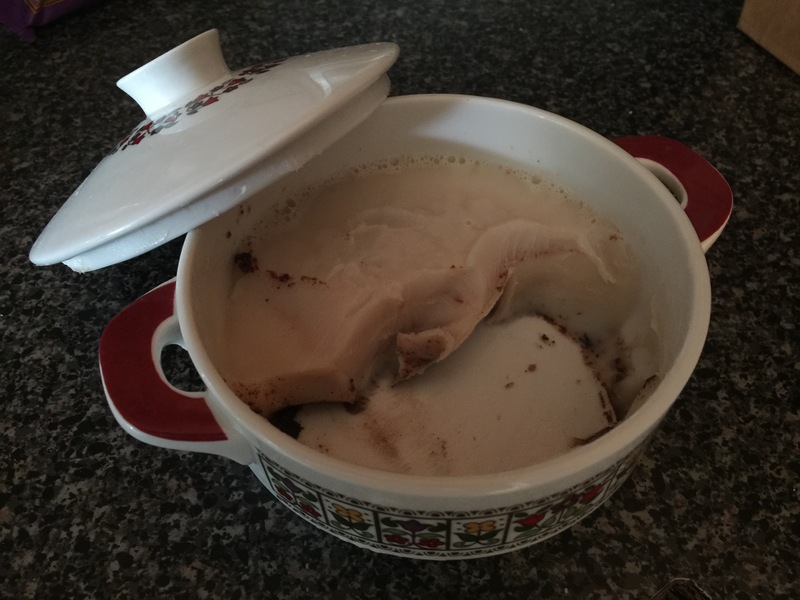 I started keeping the grease from bacon to use in gravy and other flavorful things, kind of as a money saver (which really isn’t that much of a money saver), and kind of as an experiment. As a child of the ’80s, I was raised on margarine and butter. We always poured leftover bacon grease into a clean catfood can and tossed it when it was cool. It never occured to me to save it for future use, which is probably a good thing, considering the health factor of it is on the low-end of the scale. But because I’m now an adult and can make my own, grown-up decisions, I decided to try keeping it and using it. And that’s how I’ve chosen to use my little container. As an adorable little lard holder. If it were alive, maybe it would resent me for this. Or maybe it would be pleased to be out and used instead of shoved in the back of my cupboard. I think it should be grateful. It was getting full of bacon grease (I haven’t been in a gravy mood, lately), so I needed to use it. Biscuits, however, were something I could get behind. And butter just to make biscuits can get expensive. And as stated above, I’m a grown up, so I can do almost anything I decide to, simply… because. I looked up some recipes online to make sure I was doing it right. Then realized they’re all pretty much the recipe I normally use for biscuits, except using chilled bacon drippings in the place of butter, so I used that. Popped the batter into a cast iron skillet and baked them up. And they’re very different than the plain butter ones. Less salty than I expected. More cake-like in texture. Very “stick to your ribs.” And they don’t really taste savory, either. Nearly scone-like. Perfect for a drizzle of honey and a swipe of some way-too-expensive grass-fed butter. And a mug of hot black coffee. As a warning, my husband tried them without any topping added and said he thought they were good, but he was disappointed because he got the aftertaste of bacon without actually getting to eat bacon. So they may be a terrible idea. But I’m still pretty happy with them. Mix all dry ingredients together. Use your fingers or a knife to cut bacon fat up into the mixture until the texture resembles rough flour. Stir in milk until everything is just incorporated. 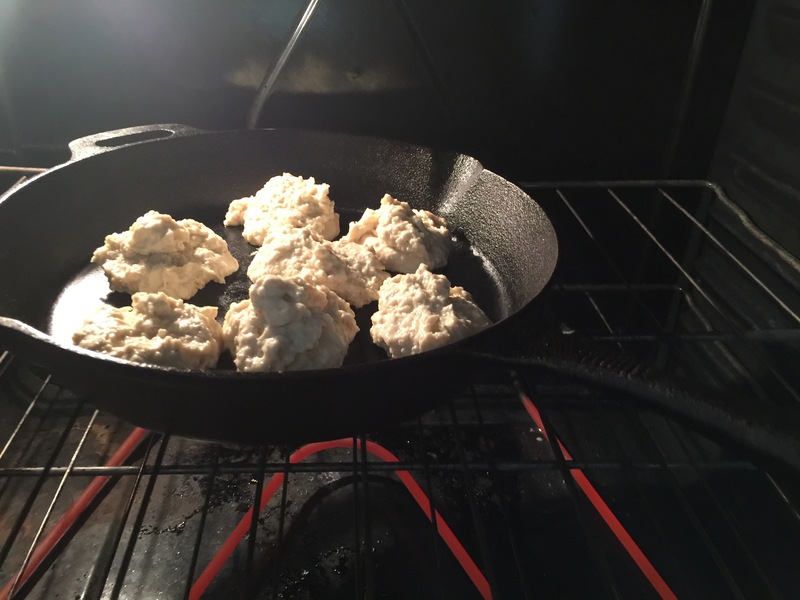 Scoop and drop biscuit dough in about 1/4 cup portions onto a lined baking sheet or cast iron skillet. Bake for 12-15 minutes, until the tops are lightly browned. Enjoy. This reminds me of my grandmother too–she always saved bacon grease, in a mason jar, which is how I do it too. I never though of putting it in biscuits, though. I didn’t think I was hungry, and then I read this. I am always looking for a bacon grease container, so I’m glad you have one! I, too grew with a bacon grease container on the stove at our house. You used it to fry everything. Not sure if it was put in the biscuits, but am willing to try this. 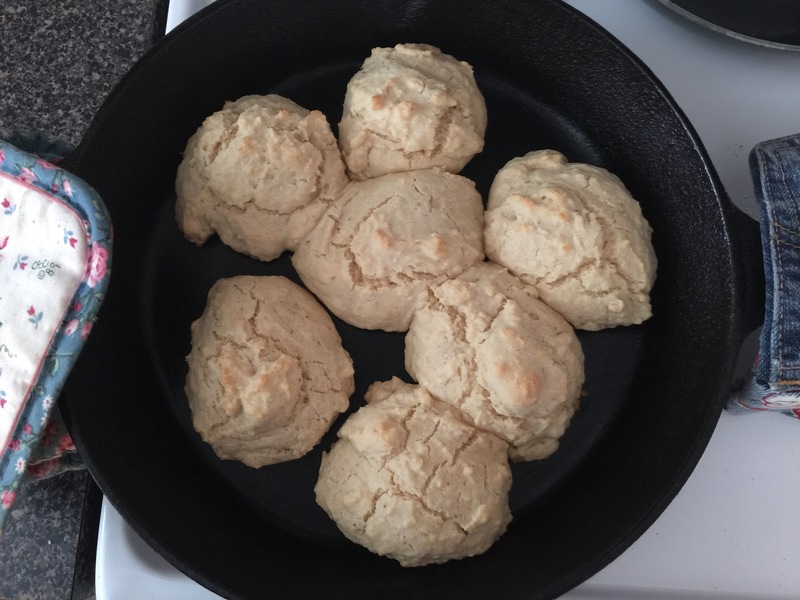 I make biscuits a lot.Thanks for the recipe and the idea.